The Schlumberger Numerical Reasoning tests are designed to measure your numerical abilities and relate to graphs, percentages and tables whereby you will be asked to analyse data and chose from a set of multiple choice answers. These will be timed so it is important to practice in advance. The Schlumberger Diagrammatic and Logical Reasoning tests comprise of questions relating to sequences of shapes and patterns. In each question there will be a missing step and you will be provided with a number of answers to choose from. These are designed to test your logical reasoning as well analytical and problem-solving skills. 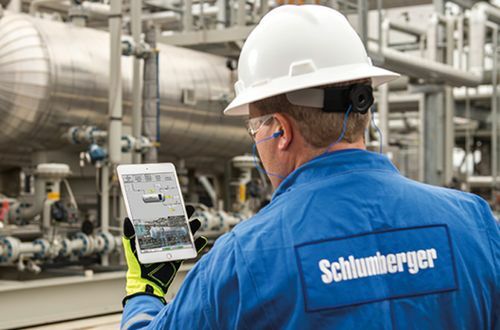 Schlumberger’s Mechanical Reasoning tests are similar to the standard numerical and verbal reasoning in that it is timed and consists of a number of questions with multiple choice answers. This test measures your ability to understand and apply mechanical concepts and principles to solve problems. As with all types of online tests it is advisable to practice beforehand in order to ascertain how much time to spend on each question. It is also vital to ensure full knowledge of mechanical principles. You’ll be given information relating to the role that you are applying for, which you’ll be asked to prepare a 30 minute presentation on, to be given in front of one of the assessors. This will be done ahead of the assessment centre. You will then be required to answer questions in order to demonstrate your knowledge of the company and how you would work under pressure. Your presentation and analytical skills will also be tested.